Watch members of the cast in rehearsal for our production of Jesus Christ Superstar, to be performed at the Haymarket from 13 - 17 May 2014. From his vantage point in the Heathrow control tower, he’s responsible for the safe movement of hundreds of aircraft as they take off and land at one of the world’s busiest airports. But the pressure of Paul Morris’s day job as an air traffic controller doesn’t compare to the challenge that awaits him on the stage of Basingstoke’s Haymarket Theatre. 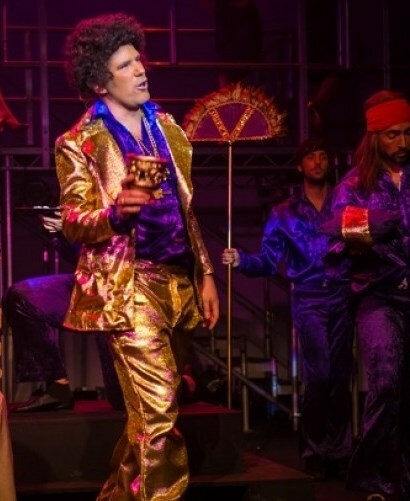 But 34-year-old Paul has one big advantage as he prepares for his role as King Herod in BATS’ forthcoming production of the Tim Rice/Andrew Lloyd Webber musical Jesus Christ Superstar. Six peformances of Jesus Christ Superstar run from Tues 13th - Sat 17th May 2014 at the Haymarket, Basingstoke.